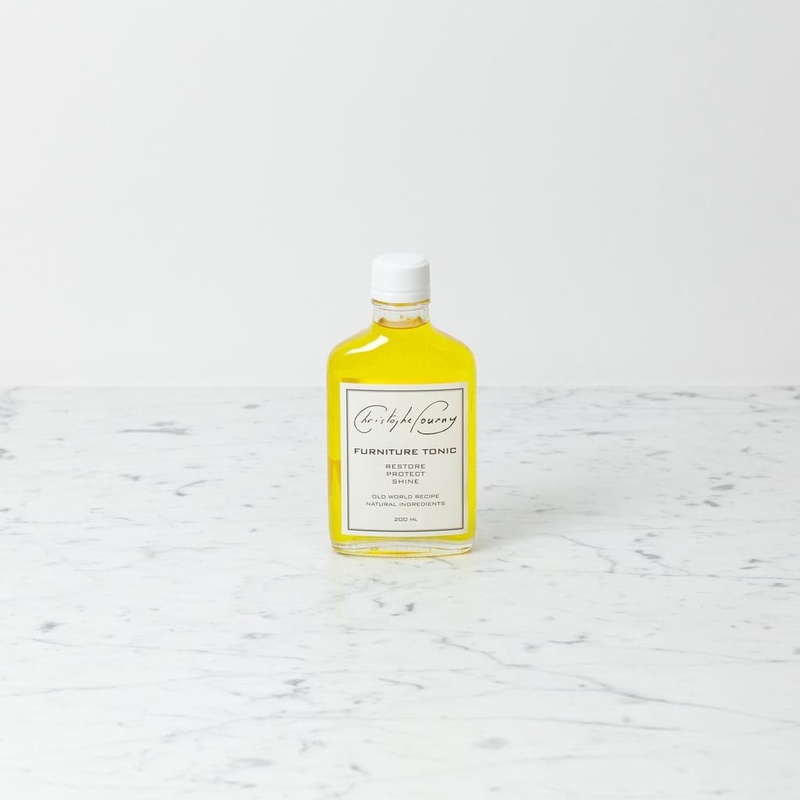 Made in Brooklyn, NY, this all-purpose tonic is made to polish and shine. Its all-natural, small-batch formula is hand-mixed by restoration artisans and experts and poured into a glass vessel. With no harmful chemicals or petroleum distillates, this is richly scented with the organic essences of its all-natural proprietary ingredients: rosemary and tea tree, linseed and walnut, beeswax and lavender. It ain't the Lemon Pledge we grew up with, but growing up means discovering new, better things. Go forth and polish proudly. To use: Apply to clean cloth and rub on wood surface. Wipe on and off. Will dry naturally. To remove heavy build up: wipe on/wipe off with pressure. Can also be used to build up an oil finish from scratch, on raw, unfinished wood. Allow to dry, then repeat application, allowing to air dry.